Sunny fruits, healthy vegetables, fragrant berries, famous melons, and nuts - the gifts of Uzbek land known far beyond its borders. In March, when the first flowers of apricots and almonds blossom over the awakening nature, locals try to guess how fruitful the coming year will be. After apricot, cherries cover with bunches of white blossom, then comes the currant, and mountain air is filled with a sweet jade smell. In a short blink, markets become filled with the first strawberries, cherries, raspberries - and until November Uzbek land follows a natural schedule and generously provides fruits. The peak of harvesting is at the end of summer - the beginning of autumn: elastic eggplants and sweet tomatoes, juicy apples and pears, fragrant bunches of grapes, spicy figs and plums, huge watermelons and melons cry out to be eaten. Velvet autumn finishes harvest year, bringing healthy persimmon, scarlet pomegranates, fragrant quince and clots of solar energy - lemons to our tables. 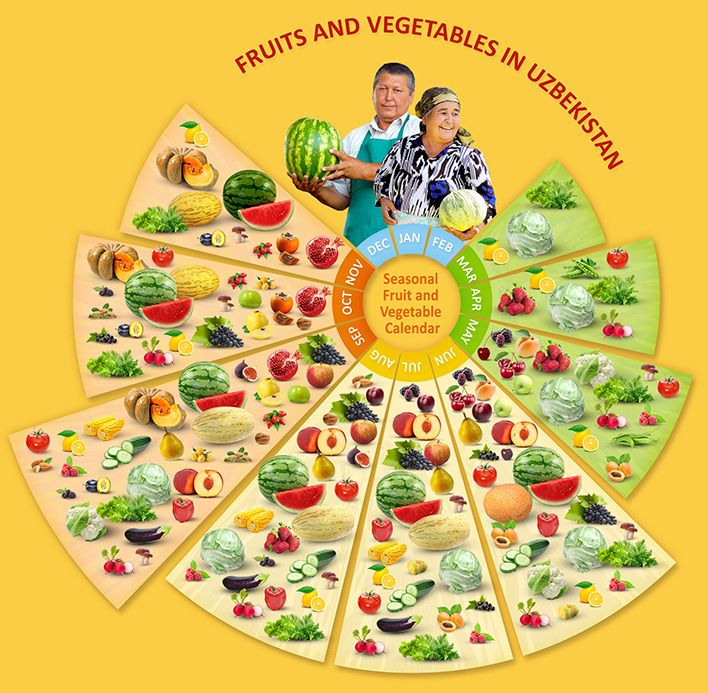 Uzbek fruits and vegetables are abundantly presented in the eastern markets and will certainly be at any dastarkhan that is laid by a hospitable Uzbek family in your honor. Choose the natural! Come to Central Asia! 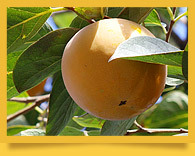 Uzbek urik is practically the apricot, but its Central Asian varieties have certain species and taste differences. 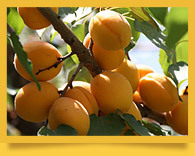 In Uzbekistan smaller breeds are called «urik», while «apricot» is the name for larger and nicer fruits. Some believe urik to be suitable for drying only. Although it is far from truth, as urik is an embodiment of delight, bright taste, aroma and juiciness of a hot summer. The cultivation of pomegranate is widespread in countries with a hot climate, to which Uzbekistan also fully belongs. So there are a lot of pomegranate gardens. 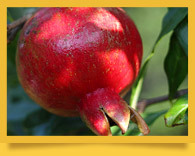 Along with apricot or persimmon, pomegranate can be found on the cities’ streets and parks. Although, it’s hardly recognizable. The reason is because pomegranate trees do not have an outstanding height and trunk sometimes is so curved that a tree looks more like a bush. It’s a long-living tradition to plant pomegranate in patios and front gardens. Everyone knows what marmalade is. Though did you know that the very word "marmalade" in Portuguese means "quince jam"? The word "quince" sounds like "marmelo" - it was from quince that they made an amazing home-made marmalade from ancient times. Indeed, unlike most other fruits quince after prolonged cooking sustains shape and doesn’t soften to a watery, but retains elasticity, which makes the pieces look like marmalade. This 100% natural "marmalade" has an amazing aroma and subtle sweet taste. However, raw quince fruits look like large gnarly apples and not popular. If you don`t like permission very much, it means that you still did not try it red-ripe! Fruits that go on sale often have an excessively tart, astringent taste, which is due to the high content of tannin in the unripe and early-plucked fruit. While ripening persimmon becomes sweeter, and tartness disappears. You can buy a wide variety of grapes from numerous bazaars of Central Asia in autumn: muscadine grapes with pungent astringent flavor, gently sweet Pink Tayfi, aromatic Izabella (Vitis labrusca) grapes, quite small and very large ones, seedless and with seeds. Price for grapes depends on their sort and season. Raisins are sold all year round. 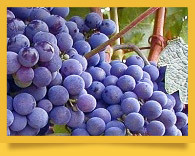 Grape growing and winemaking have been developed on the territory of Central Asia since ancient times. Sweet grapes, medicinal properties of wine and winemaking experts are mentioned in Avesta (the most ancient scriptures of Zoroastrianism), travel notes of many travelers and conquerors. Archaeological finds clay containers for wine prove these records. 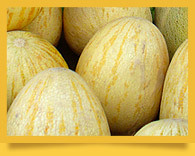 Along with astounding fragrance and sweetness the melon boasts a rich set of useful qualities. One of the most important is the ability to induce endorphins, which makes it a good remedy for depression and spleen. 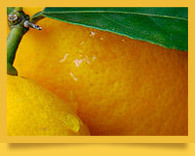 The useful substances in the plant have a pronounced toning effect, and vitamin C reinforces the immune system. Rich in iron salts melon is good for treating anemia and various heart diseases. A high content of silicon in this paradise fruit is inspiring for women. 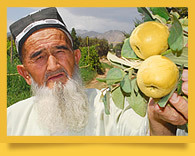 Uzbek lemon immediately stands out against its supermarket «relatives». The price isn’t the only reason. It is flat, smooth and not very large, rather roundish than oblong, and its peel is cheerfully orange (it looks more like a mandarin from a distance) and a delicate, non-porous texture that promises thin skin. You will feel the difference in taste later when trying deliciously juicy sweet and sour pulp, which has a unique taste and magic flavor. 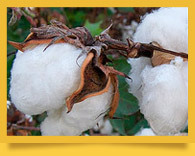 The world’s leading cotton fiber manufacturers are India, China, Uzbekistan, the USA and Pakistan. Uzbekistan is among the largest exporters of raw cotton shipped to the countries of the eastern hemisphere. Cotton is considered the natural national wealth of Uzbekistan, together with gold. That was why they call it oq oltyn - ‘white gold’.